The smart charger that locates your car! Effortlessly charge your devices in a flash using the ultra-fast Smart Car Charger. The Smart Car Charger is compatible with 2.0 and 3.0 USB connectors so you can connect all your devices. Don't waste any more time plugging in your devices; both of the Smart Car Charger USB ports can be reversed for more flexibility. 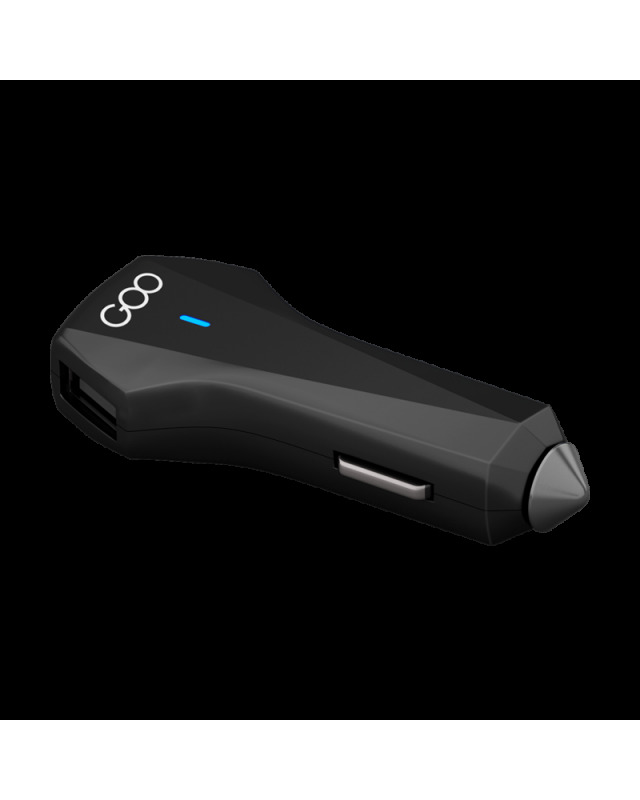 Your Smart Car Charger communicates wirelessly with the GOO Car App on your smartphone by activating the Bluetooth function. When your Smart Car Charger is connected to the GOO Car App, the location of your vehicle is automatically recorded by your phone's GPS. Use the App's built-in compass or open the map view to take you to your vehicle. When the Smart Car Charger is plugged into your vehicle's cigarette lighter, you can check your battery's voltage using the GOO Car App.